Demonstrate your value and highlight your expertise. The way we communicate is changing all the time, and the legal world is no exception. Stay ahead of the curve and keep your team, stakeholders and executive up to date with automated data collection, filterable reports and copy and paste dashboards. Sophisticated reporting at your fingertips. Critically assess your team’s output and capacity, visibly demonstrate your efficiency, and track status and workflow metrics as matters progress. View your previous and current matters and engagements in context, break them down by type, and identify trends for more strategic decision making. Get a bird’s eye view of your costs over time, keep up to date with work-in-progress, and connect your scope and budget for a more financially savvy spend. See what drives your engagement decisions, identify who you work with most and why, and track and compare tenders and activities over time. 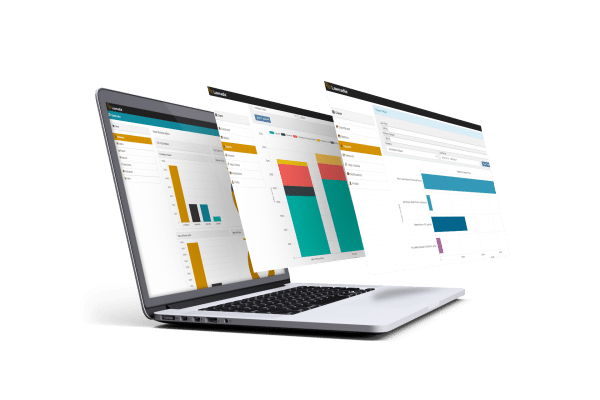 View your matters, spend and activity at a glance via easy to read dashboards, automate your data collection and highlight your value to the executive with filterable reports. Critically assess engagement and spend behaviours, track firm performance over time and make decisions based on facts, not feelings. Support and maintain consistent engagement processes across the board and get visibility over which firms have been engaged, and how and why over time. Solutions for teams of every size. Connect your business to in-house and streamline your workflow. Coming mid 2019. Create, manage and track your internal legal matters. Track and control your external engagements, scope and spend.